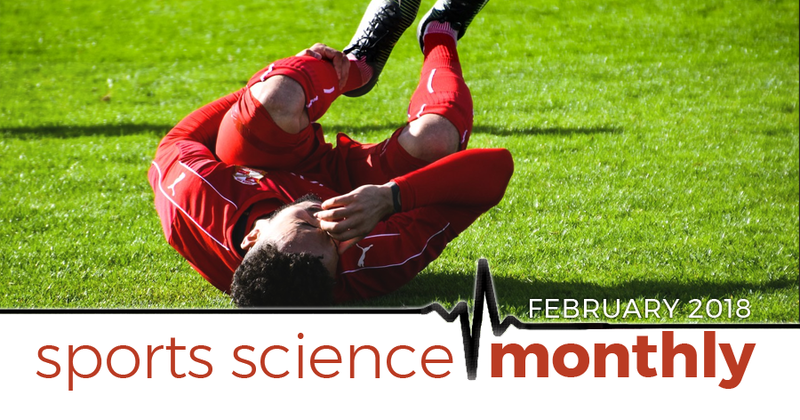 The February edition of Sports Science Monthly is perhaps our most in-depth yet. We take a look at 10 new studies this month on a variety of topics from how soon injury rehabilitation should start, adaptations from small-sided games, how resistance training stacks up against plyometrics, and the ketogenic diet for athletes. In addition, we dive into some novel topics like new research on the placebo effect, RPE, and stress contagion. How soon should injury rehabilitation start? » Quick summary: The sooner rehabilitation post-injury begins, the faster the recovery process, and the sooner the athlete can return to play. When athletes get injured, we’re often stuck in a quandary; when should we start loading the injured muscle in order to enhance rehabilitation. It seems logical that, if we have a damaged muscle, delaying this loading might be good; we don’t want to further damage the muscle, and so waiting for it to repair itself to a point where it can start to tolerate some load seems sensible. However, a recent paper in the prestigious New England Journal of Medicine indicates that this logical thought process is incorrect. In a letter to the editor (a good way to communicate novel findings quickly), the researchers from Bispebjerg Hospital in Copenhagen describe a study in which they recruited 50 amateur athletes who had suffered acute thigh muscle injuries (60%) or acute calf muscle injuries (40%). The patients all presented to the hospital less than 48 hours after injury, and were randomized to receive either early therapy (2 days following injury) or delayed therapy (9 days following injury). The athletes were then followed for 12 months in order to evaluate their outcomes. The rehabilitation therapy program was the same between the patients – in week one, it was static stretching on a daily basis, weeks 2-4 were daily isometric loading, weeks 5-8 were dynamic loads, and finally weeks 9-12 were functional exercises and heavy strength training. The only difference between the groups was the time at which they started this exercise series. Those in the early therapy group returned to sport sooner than the delayed therapy group; much sooner, in fact. The median return time in the early group was 62.5 days, whilst in the delayed group in was 83 days – a difference of three weeks! This study shows the importance of beginning rehabilitative loading earlier rather than later following injury, as the load can stimulate the healing process and laying down of connective tissue, which further enhances regeneration of the injured muscle. Of course, this wasn’t a cohort of elite athletes; a return to sport period of 62 days would be considered a long recovery time in all but the worst hamstring and calf injuries, so we don’t know how the results would compare in world-class sports people. However, I can’t think of any reason why they wouldn’t transfer across, and indeed, in my experience of elite sport, loading begins almost immediately. So, the message is clear – when injury happens, don’t sit around and become immobile; start putting some load through the structures, and you’ll make a quicker return to sport.